I have done zero planning for a Halloween party this year. October has us traveling out of town for a wedding, followed immediately by three birthdays (including Owen's first birthday!!). Needless to say I am a little over whelmed even thinking about October. But if I do get my act together, we will be serving spider webs. Spider web fritters that is! 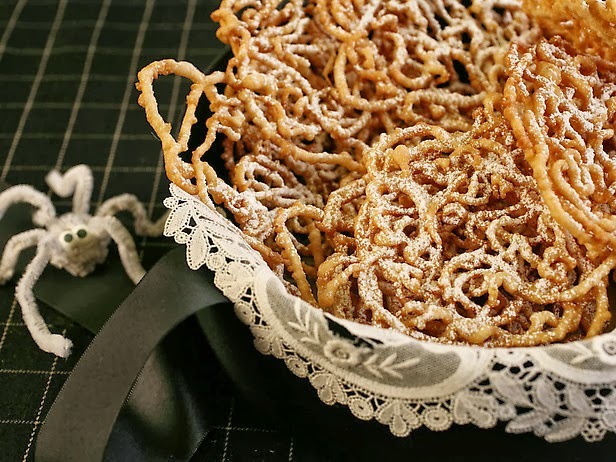 You can get the recipe for these maple cinnamon spider web fritters over at Food Network.